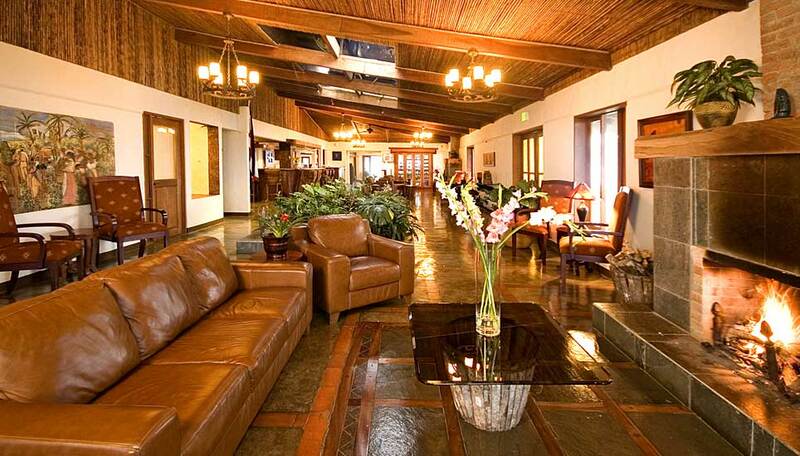 A charming mountain hotel amidst enchanting cloudforest. Villa Blanca is open all year round. 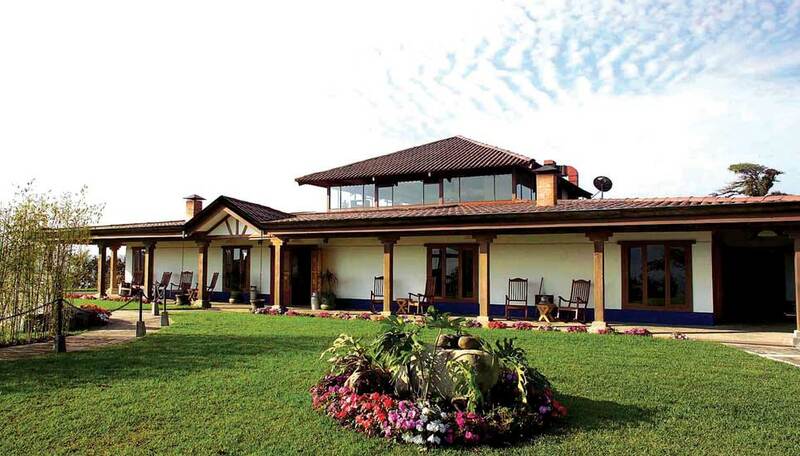 Built by former Costa Rican President Rodrigo Carazo Odio and First Lady Estrella Zeledon de Carazo, Villa Blanca is a charming and unique mountain hotel located adjacent to a working dairy farm. 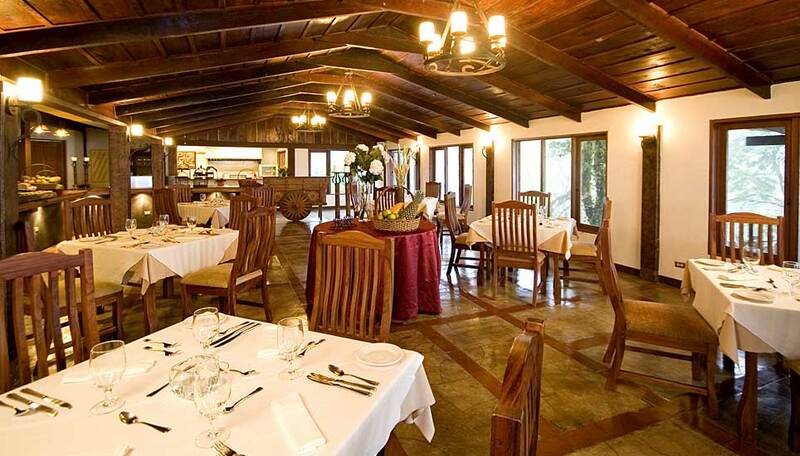 The Hacienda, with the Arenal volcano in the distance, houses the reception, lobby bar, private movie theatre, conference rooms and country-style restaurant. The well-appointed casitas are replicas of traditional adobe farmhouses complete with whitewashed walls, tile floors, cane ceilings and adobe wood burning fireplaces. All are simply and tastefully decorated with wooden furniture and light and bright soft furnishings. Each has either a garden porch or private terrace. Resident guides lead nature walks through the adjacent 2,000-acre Los Angeles Cloud Forest Private Biological Reserve, which is excellent for bird watching as well as a variety of other nature tours. Why go to Villa Blanca Cloudforest Hotel? 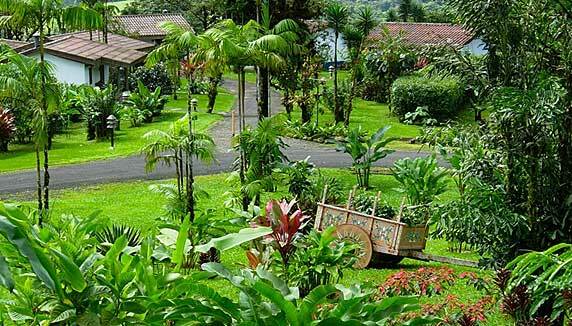 This is the perfect place for an exceptional Costa Rica experience in the peaceful and magical cloudforest. The genuine hospitality at Villa Blanca echoes the beautiful and natural surroundings. The Los Angeles Cloudforest Reserve is less visited than Monteverde and Santa Elena, so this is the perfect place for those wanting a more exclusive, peaceful experience away from any crowds, and Villa Blanca is the only 5 leaf certified hotel in Costa Rica that is located within a private cloudforest reserve. 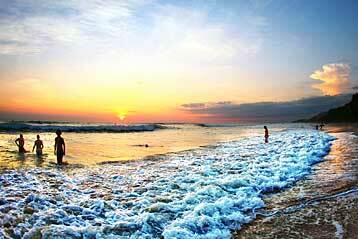 With more than 250 bird species in the hotel surrounds, this is a special place for bird lovers. From the moment you arrive at this 75 acre mountain sanctuary, you’ll be immersed in the magic of nature that is the cloudforest. This eco-system is home to countless varieties of insects, amphibians, reptiles and mammals, but it is the beautiful and colourful birds that attract most people to the cloudforests. Located in a protected cloudforest reserve. Breakfast is included in your stay. On arrival you will be welcomed with a refreshing cocktail. Access to the self-guided trails, a visit to the research station, movie theatre and games room are all free of charge. There are 35 simple and homely casitas at Villa Blanca. Their décor is simple but enchanting and in keeping with the feeling of a quaint Costa Rican village of yester-year. 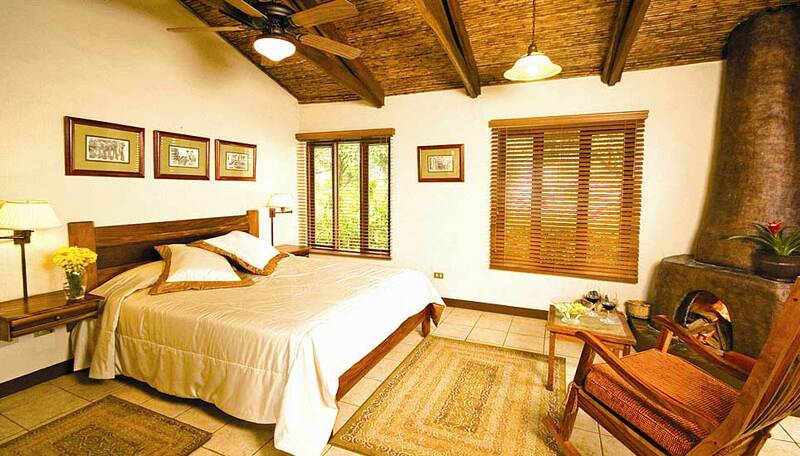 HONEYMOON SUITE: There are 5 honeymoon casitas. Each with unique open beam ceilings, a custom queen size bed, stocked mini-bar and coffee maker, living room with fireplace, sofa, whirlpool bathtub and separate shower enclosure, plus a private garden terrace nestled within botanical gardens and surrounded by an 840 hectare (2000 acre) private cloud forest reserve. Children under 6 stay free. Children 6 and over pay US$ 25 plus tax per night when sharing a room with their parents. There is free WiFi in all rooms and common areas. All rooms have telephones and there is a good mobile signal.